According to statistics from England’s National Health Service, around one in five adults in the UK are disabled and more significantly, one million of these individuals live by themselves. As particularly distressing as this latter statistic is, for many the situation is further compounded by having the “obese” label added to them. To qualify for this (if you’ll forgive this rather blunt term) your Body Mass Index (BMI) needs to be above 30 on the scale. Unfortunately, society is very quick to judge and make assumptions about why people are obese and invariably such assumptions are made by those with little understanding of obesity. It makes you question if they’ve ever considered that a person’s weight might stem from factors such as a disability? Or that they may struggle with physical mobility or suffer from a mental health issue like acute anxiety or depression which has contributed to their weight gain? If this is the situation you face, you’ll appreciate how it can be a self-perpetuating cycle which massively affects your day-to-day living. You may feel trapped, scared and indeed frustrated by being unable to do the basic things. place, or installing lifts or stair lifts. 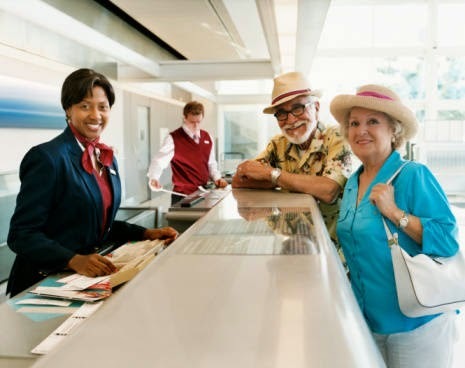 Another big part of gaining more independence is to be able to go out and travel. Even if it’s only something small like going to the shops, or visiting with friends and family, these trips can have a real positive effect on your life. 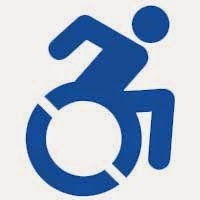 Again, you can invest in a number of options, such as mobility scooters, powered wheelchairs, wheelchair accessible vehicles and walking frames and supports. Mental health issues can be an incredibly hard challenge to manage and there’s often no quick and easy fix. What you might find helpful is emotional support, from attending group therapy sessions to one-on-one counseling and even specialist home visits that provide a kind ear to talk to. 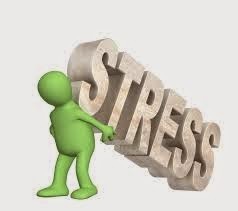 Charities and NHS services can provide this and help you take those steps forward to dealing with distressing symptoms and coping with stressors. It may be true that everybody’s needs are different, but be sure to try some of the above to help get some of the positive aspects of your life back. Don’t fall foul of adversity and narrow-minded stereotypes, help yourself to claim the independence you deserve. Finding out that someone you care for deeply is suffering from drug addiction can be challenging. You watch as they slowly delve deeper into addiction and what appears to be no regard for how it affects their personal relationships. While it may seem as though your loved one has checked out and cares about nothing but getting high, the truth of the matter is that addiction is a complex disease of the brain. It is not until you fully understand how addiction affects your loved one that you’re able to reach out to them and get them the help they need. From the outside looking in, it may seem as if your loved one lacks the willpower and moral principles to stop using drugs. You assume that they can stop using anytime they please. However, for some reason they choose not to. However, the truth is that someone who has become addicted to drugs is suffering from a complex disease. Quitting essentially will require more than a strong will or moral principles. Because of the affect that addiction has on the brain, your loved one believes they need the high to sustain a decent quality of life. 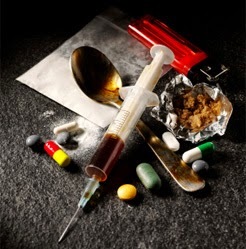 According to MayoClinic, drug addiction is referred to as a chronic brain disease that causes the individual to become dependent upon the use of drugs. Despite what the consequences might be for their use of substances, the brain tricks the body into believing it is a necessity. 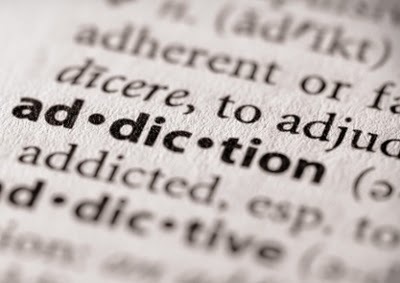 Addiction is certainly not something that happens after the first use (in most cases). Drug use is voluntary in the beginning; however, as chemicals in the brain change it hinders the individual’s sense of self control. Drugs contain certain chemicals that interfere with the brain’s ability to communicate properly. Drugs have the ability to disrupt the nerve cells that are responsible for sending, receiving, and processing information. Clinical studies show that this happens in one of two ways: either by taking on the form of the brain’s natural chemical messengers or through overstimulation the “pleasure circuits” of the brain. 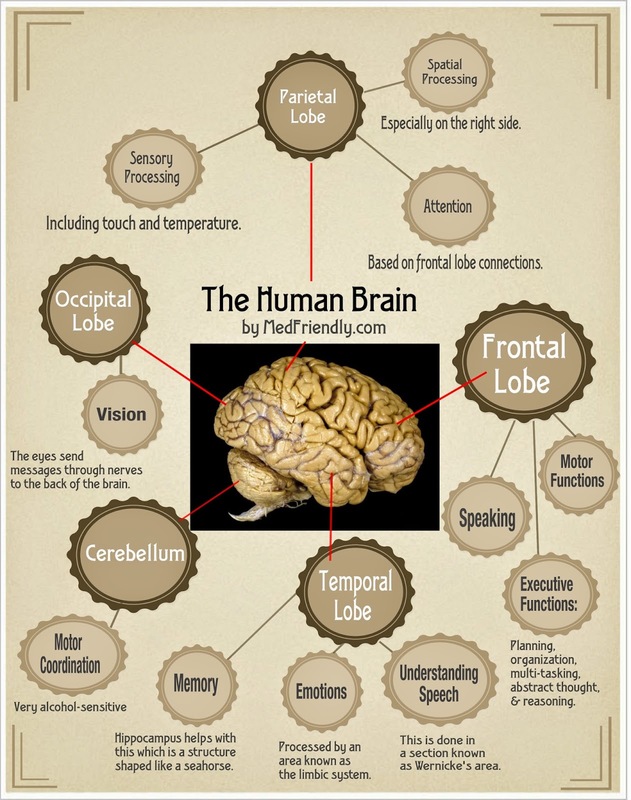 The more a person uses drugs, the more the brain begins to adapt to the various changes. The chemicals found in drugs send signals to the reward part of the brain. When the “high” wears off, it leaves the user feeling incapable of enjoying life as they once did. As a result, the brain begins to crave the chemicals from the drugs in order to reach a level of pleasure again. • Come from a place of love – no matter how their drug use may be affecting your life it is important that you don’t scold them or come from a place of anger. Compassion is your best tool when talking about addiction. • Offer Your Support – addiction requires more than just a talk, it will require the support of others. Be sure to offer your support to your loved one so that they don’t feel alone. 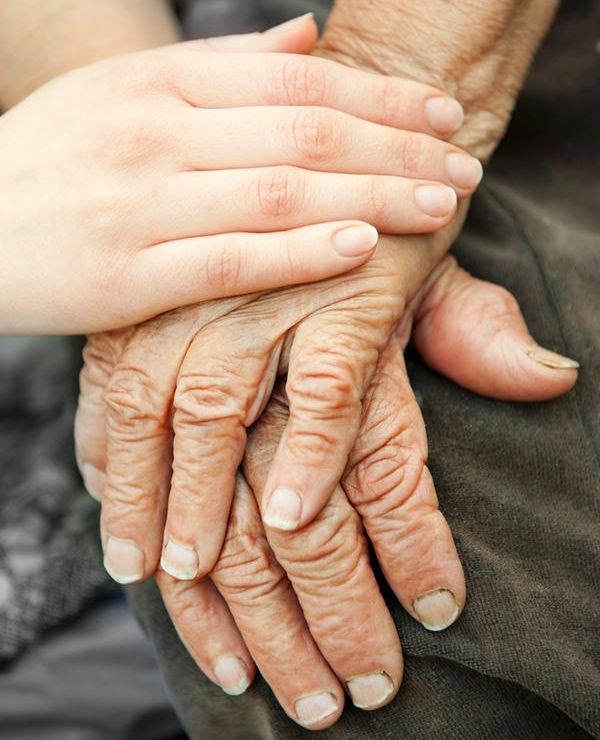 • Give it Time – you can’t rush the process, as recovery efforts are best when your loved one is doing it willingly. If they’re not receptive to what you have to say, give it time. Seeking treatment for drug addiction is the next step for your loved one. There are various options for treatment that include addiction therapy, rehab facilities, and in some cases, medication for underlying issues or mental disorders. If your loved one is ready to get help, go over the various options with them and help them make the decision that is best suited for them. Also, look into treatment options for yourself so that you can learn how to help your loved one as they begin their recovery process. The road to recovery or your loved one is certainly going to be a challenging one, but with you by their side, the chances of full recovery are more likely. If you suspect that a friend or family member is suffering from drug addiction, don’t sit by and watch their lives spiral out of control. Educate yourself on addiction and reach out to them about your concerns for their well-being. When they’re ready, support them in getting the help they need from the right medical professionals. While not every child dreams of being a doctor, some do. It takes a lot to make that dream come true, from a dedicated college career to time spent in residency. Dedication and drive are important for a future doctor. The important thing is, the world will always need doctors. The medical field is one of those fields that will always have career options and always be looking for talented, caring individuals. While some will strive just for a family practice, another direction for the aspiring doctor to go towards is surgical, which requires even more dedication and schooling. If you want to be a doctor, you can help children, adults, and seniors. Use your first four years of college to decide where you want to go with your career as a doctor. Education Portal points out that someone wishing to become a medical doctor must first earn a bachelor’s degree, in no specific major. This takes an average of four-years. It does help if you pick a major that relates to your career choice, however. That can include working towards a Bachelor of Science, maybe in something like biology. Once you have your Bachelor degree it's time to take the Medical College Admission Test (MCAT). This test will determine whether or not you are accepted into medical school. Medical school is another four years of school. There are different things to learn for different medical professions. You need to understand the human body and how it functions. You won't always have a textbook under your nose in order to help your patients, so it takes someone with a great ability to retain information. After that minimum of eight years of school, it is time to do a residency in a hospital. You will need three- to seven-years of medical residency. Once you've completed residency it's time to take another test. For someone wanted to be a surgeon, there may be an added three more years of residency on top of the three to seven needed for a general medical doctor (MD). 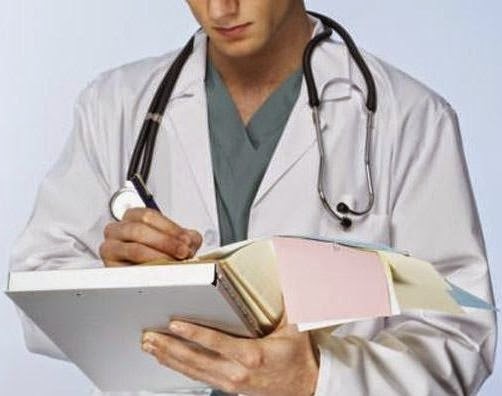 It requires passing the United States Medical Licensing Exam (USMLE) in order to obtain a medical license. It may be wise to start looking for work while in residency. While some residencies may lead to a job at the same hospital where you train, it doesn't hurt to keep your options open. Look into staffing agencies that specialize in healthcare staffing. • Check the newspaper classifieds often. • Search online for jobs. • Look at local college websites for job listings. Make sure to have a resume written up that shows your specialty. Include your education, residency and any internships you've done. Long periods of unemployment do not look good on a resume, especially for a doctor. If your dream job doesn't come right away, keep looking. Talk to the people at your healthcare staffing center. They may have some tips for your job search that could be the answer to your problems. Human skin is amazingly resilient. It’s designed for both strength and flexibility, so that it can both stretch and maintain its shape. It also performs several vital functions including UV protection, moisture and body temperature regulation, waste elimination, and protection from disease. Unfortunately, because it is so exposed, our skin is also prone to many of the effects of aging. Perhaps, one of the biggest effects is the loss of moisture, which can affect the strength and elasticity of your skin. Massage therapy can reduce the effects of aging on your skin by improving circulation, stimulating oil production, removing dead skin cells, and providing external moisture from the use of massage oil. The good news is that you don’t have to spend hundreds of dollars getting a professional massage; you can get the same benefits by massaging yourself at home. There are a few things that you need to consider if you are going to massage yourself at home, and the biggest is what type of oil to use. 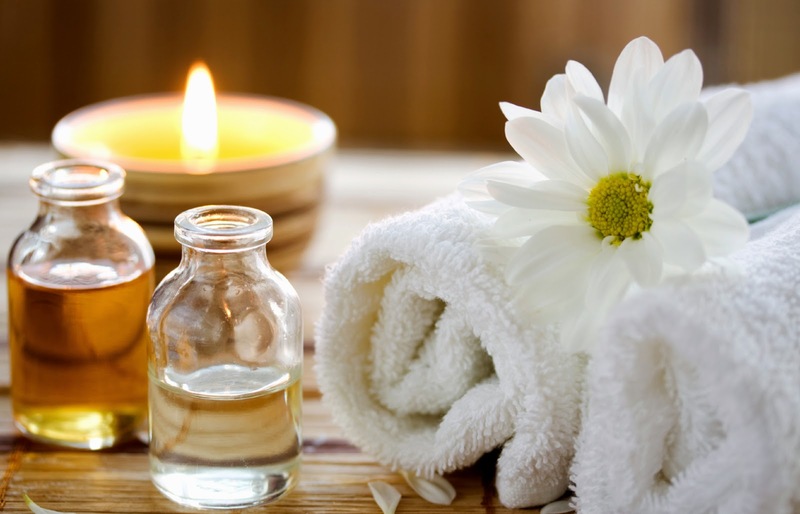 If you go to any massage store, or even a regular drug store, you will find that there are several different kinds of massage oil, in liquids, creams, gels and solids; and they all have different functions and benefits. • If your primary focus is moisturizing your body, then you will want to use a heavier oil, such as olive oil or apricot oil, which will coat the skin. You can also use a heavier cream or a body butter as long as it allows your hands to glide smoothly over your skin. Thinner oils can absorb too quickly, which would require you to use more to achieve the same effects. • If you are massaging your face, then you want to use a light massage oil specially formulated for faces. These oils are designed to absorb without leaving heavy residue which can clog your pores. You don’t need to use as much of these oils, as you would the oils for your body. • If you are looking to soothe sore muscles, in addition to making your skin more supple, you might want to consider massaging a medicated gel with menthol or arnica into the sore muscles, and then following with a medium to heavy massage oil, cream, or solid. • If you have allergies, then you want to avoid nut-based oils, and oils with heavy fragrances, and instead choose hypoallergenic oils like grape seed, soy, or jojoba. • Avoid mineral oils and petroleum-based oils, which tend to clog your pores and leave a heavy residue on the skin. The other thing you need to consider is how you are going to use the oil. • If you are giving a massage to someone else, consider wearing a body massage oil holster, so that you don’t have to worry about the massage container being out of reach during the massage. • Put the amount of oil you wish to use in a separate container, such as a smaller plastic bottle or a small bowl. If you want to warm the oil, put the bottle or dish you wish to use into a larger container of hot water. Do not heat oil directly. • If you do prefer a scent, it’s better to add essential oils to the massage oil on a case-by-case basis rather than scenting the whole bottle. • Apply a small amount of the oil to your hand, and rub your hands together before applying the oil to your body. This will warm the oil, and will also prevent you from using too much. When using additional oil, always apply it to your hands first. • If you find that you have too much oil on your body, wipe your hands with a dry towel and then apply some hand sanitizer to them. That will remove the excess oil from your hands, and as you continue rubbing your hands will absorb the excess oil from your body. • If you are using several different types of oils, always wipe and sanitize your hands between each type of oil. • Store your oils in a cool, dry place. Excess heat and moisture can cause the oils to go rancid. Rancid oil will still work, but it will smell really bad. If you have an office job you probably spend the majority of your day sitting behind a desk. In fact, 50 to 70 percent of people spend at least six hours a day sitting. On the surface it might seem a lot better, and easier on your body, than jobs where you have to spend the bulk of your time standing or walking around. The truth is that spending a lot of time sitting is one of the worst things you can do for your body because of the long-term effects on your health. Sitting takes its toll on all parts of your body, from head to toe. 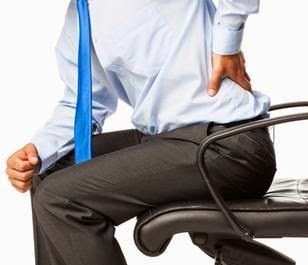 Starting with the spine, which tends to show the most immediate effects, prolonged sitting can cause trouble in your lower back, in your shoulders and upper back, and in your neck. When you sit, all of the muscles on the front of your body pull forward, which over-stretches the shoulder, back, and spinal muscles on the back of your body. 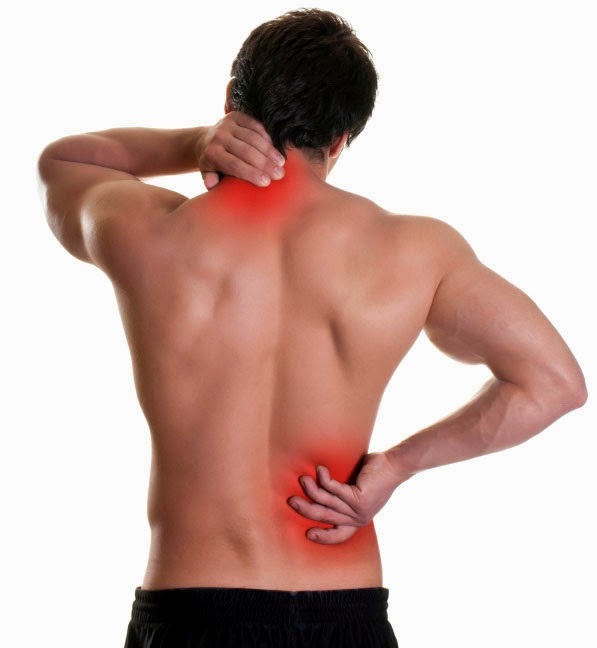 In your lower back this can put you at greater risk for herniated lumbar discs; in your shoulders and upper back it causes pain and inflexibility; and, in your neck it causes muscle strain from you having to hold your head at an awkward angle. Sitting causes you to pull your shoulders forward and your chest down toward your lap, which compresses all of the organs in your torso. However, it’s actually the cardiovascular effects of sitting that have the worst effects. Prolonged sitting constricts the blood vessels in your legs, leading to poor circulation. That poor circulation can lead to varicose veins in the legs, and also to a condition called venous insufficiency which can cause blood clots and damage to the valves in your veins. This poor circulation can also affect how efficiently blood returns to your heart for oxygen, and ultimately how well the muscles, organs, and other tissues in your body get the oxygen and nutrients they need. Sitting can also lead to muscle atrophy in your core – specifically your upper legs, lower back, and abs – because these muscles often go unused when you sit. As muscles atrophy they use less energy, which affects the way they respond to insulin, which triggers the pancreas to produce more insulin in response. These are just a few of the effects that sitting can have on your body, all of which can lead to a higher risk of developing certain cancers and a shortened life span. Luckily, there are things you can do to stop the decline, and counteract the effects of sitting. The most important thing you can do is get moving. While going to the gym several times a week is a good start, it’s not enough to counter the effects of hours of sitting. You have to incorporate movement and standing into your routine all day, every day. One option is to use motorized stand up desk with adjustable height, which will allow you to stand up to do your work. That way, even if you are chained to your desk for the day, you can still get some movement in – especially in the leg muscles that are so important for good circulation. Adjustable desks can also help you improve your posture to relieve the strain on your lower spine, upper back, neck, and shoulders. If an adjustable desk is not an option, then the next best thing is to stand up at your regular desk, and only sit down if you need to write or use your computer. You also need to schedule periods of movement throughout the day. For example, you can set a reminder to get up and march in place for 60 seconds, every thirty minutes. You can get up and talk to people face-to-face instead of calling or sending emails. Another option is to give yourself minibreaks, after you finish each task, where you get up and move around before moving on to the next task. If you absolutely must sit, then practice proper eating to reduce the amount of strain on your spine and organs. • The seat of your chair should be high enough that your thighs are parallel to the floor and your knees are bent at a 90-degree angle. • Your shoulders should be relaxed; your arms close to your sides, and your elbows bent 90 degrees when resting on your desk. • Your chin should be parallel with the floor, and your ears in line with your shoulders. • Your feet should be flat on the floor. Your chair should also have lumbar support. If the support is not built in, then use a pillow or cushion. Your monitor should be at, or slightly below, eye level so that you don’t have to crane your neck or tilt your head out of alignment. You should also do exercises that strengthen your core muscles, such as Pilates, crunches, back extensions, squats, and lunges. In a recent article about planning to travel with diabetes, we touched briefly on the subject of food. Most travel food can be a diabetic’s nightmare, with very little fresh fruit and veggies, and a lot of sugary, salty snacks and fast food. Once you reach your destination you could also encounter issues with the local foods having more sugar, salt, and calories than is recommended for healthy people, much less diabetics. Bringing your own food can make things easier, but it can also cause you to miss out on the local flavor. However, there are solutions that can help you enjoy some local delicacies during your vacation, without threatening your health. The first thing you should realize is that having diabetes doesn’t mean that you have to deprive yourself. While it is true that you should seriously limit your consumption of foods that are high in sugar, or have a high glycemic index, that doesn’t mean that you have to completely avoid everything. • Keeping a schedule. The excitement of vacation often means we end up eating at irregular times. Noontime breakfasts and late-night dinners are often the norm. But for diabetics, a change in routine could mean serious blood sugar spikes or hypoglycemia. 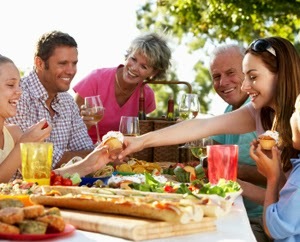 When on vacation, try to keep as consistent a dining schedule as possible. If you can’t then be sure to have healthy snacks on hand so that you can eat at the scheduled time, no matter where you are. • Check your blood sugar. Check your blood sugar frequently throughout the day. Keeping regular readings will let you know how well you are managing your blood sugar levels, and can help you determine if that piece of cake or glass of wine is in the cards for that day. Make sure you stock up on testing supplies before your trip, so that you don’t run out. If you can’t find the supplies you need for your particular brand of glucose meter, you can buy diabetic test strips at adwdiabetes.com and similar online retailers. • Watch portion sizes. If there is any time to turn in your membership to the clean plate club, it’s when you’re on vacation. Many restaurants have huge portions and it could be tempting to eat it all, especially if taking home the leftovers is out of the question. One way to avoid getting too much food is to ask if there are lunch portions available. Another option is to share an entrée with someone else. • Ask for substitutions. Many restaurants are willing to accommodate people who have special food needs, including making substitutions. Instead of having starchy potatoes as a side, you could substitute steamed vegetables or a salad. • Splurge with care. It’s ok to allow yourself the occasional treat. If that chocolate cake is calling your name, order a piece, and eat it wisely. For example, you could get an extra plate, take a few bites for yourself, and then share the rest with everyone at the table. Another option is to see if they have miniature or sugar-free versions of the same dessert. If you do eat the whole piece, and then make adjustments elsewhere in your diet to accommodate the extra sugar and calories from the cake. For example, if you know you’re going to have some cake, consider eating a low-calorie dinner that’s high in fresh vegetables, and low in sugar and fat to “make room” for the cake. • Eat in. If you are staying in a place with kitchen facilities, you can reserve a night or two where you prepare a meal in, and eat at home. Even if you are in an exotic location, you should be able to find some familiar staples like eggs, chicken, beans, and fresh vegetables, from which you can create a healthy, diabetic-friendly meal. Eating in will not only helps you manage your diabetes, it could also save you money. As you can see, remaining diabetic-friendly on vacation does not mean that you have to feel deprived. It’s mostly a matter of being aware of how and what you are eating, and making the appropriate adjustments. Making a good fried egg white is a tasty and healthy alternative for people who want to avoid the cholesterol from egg yolks. While it may seem simple to do, you can quickly wind up with a filmy egg that does not taste good. Texture is very important when it comes to friend eggs. The goal is a restaurant quality sizzling egg white that can be seasoned with some salt, pepper, and other low fat ingredients such as hot sauce. To make a great fried egg white, the first thing you need is a flat cooking surface such as a thin griddle pan or griddle. This is the griddle pan that I use. The reason you want the cooking service to be thin is because it provides more direct heat to cook the egg fast. The second thing you need to do is spray the griddle at room temperature with a cooking spray. Then wipe the beads of spray off of the griddle with a paper towel or napkin so you just leave a thin film of oil on the griddle. If you don’t do this, when you heat the griddle the cooking spray will turn dark and will make the egg taste bad. It will also steam up too fast and make the egg filmy. Once you have wiped off the beads of cooking spray, turn the heat up close to the highest level (e.g., 5 out of 6). Keep the heat running for about two and a half minutes. This is very important because you want the egg whites to sizzle as soon as they hit the griddle. If you put the egg whites on the griddle too early, the egg will turn filmy and will not taste good. If you wait too long, the pan will begin to steam. If that happens, turn the power off until the steaming goes away and then turn it back up again and pour the egg whites on after a few seconds. The way you know that you’ve got it right is as soon as the egg white hits the griddle, it will sizzle and begin to bubble. Once you see the bubbles, you know you are all set. If using a griddle pan be sure to tilt the handle upwards so that the egg stays centered in the pan. Once the egg white cooks more this will no longer be needed. Egg white with ham and cheese. Then just use a spatula and flip it over once it looks crisp (about 20 seconds or so). The other side will then cook fast and you will be done. You can then add whatever toppings you want. As you can see to the right, I added some thinly sliced cheddar cheese, ham, salt, and pepper. Fold one half over the other if you want to place it on a bagel or English muffin. Enjoy! Most of us think we have a pretty clear idea of what nurses do. In a doctor’s office, they are usually the ones who take your vitals and medical history before you see your doctor, and they may even administer medication. In a hospital, nursing home, or hospice setting, they usually take care of all the things that doctors don’t have time for, like taking patient temperatures, administering medication, and changing bed pans. Nurses do all of these things, but they also do much more. Also, there are different levels of nursing, and each level has different responsibilities. In the United States there are generally three different types of nurses: non-degreed, degreed, and those with advanced degrees. • Non-degreed nurses are professionals who have not completed a college degree program. These nurses include Certified Nurse’s Aides (CNAs) and Licensed Practical Nurses or Licensed Vocational Nurses (LPNs or LVNs). While these types of nurses don’t have degrees, they do have to complete intensive training course and pass either certification or licensing exams to get their titles. 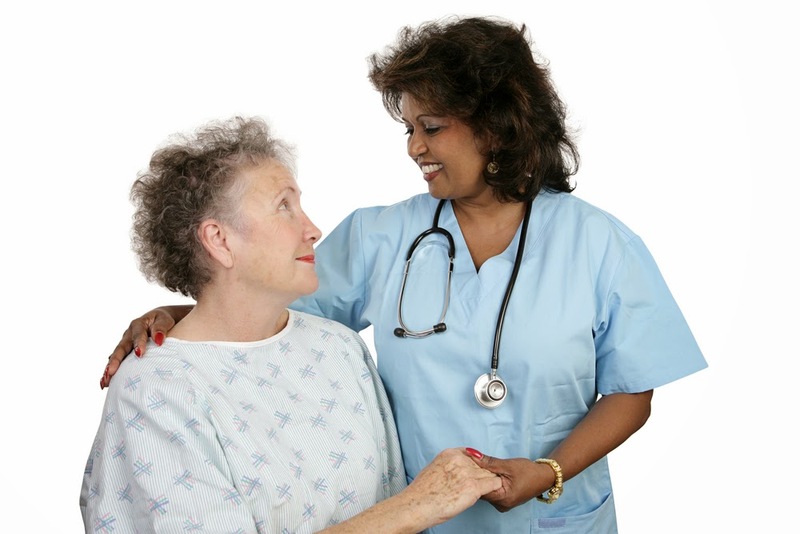 CNAs usually have to complete an eight-week program, and LPNs usually have to complete a year-long program. •Degreed nurses have either associates or bachelor’s degrees. •Degreed nurses usually become Registered Nurses (RNs) and, like their non-degreed counterparts, have to take a certification or licensing exam once they complete their program. Whether the RN has an associate’s degree or a bachelor’s degree, the work tends to be similar. In addition to many of the responsibilities of the CNA and LPN, the RN also has the ability to choose a specialty, such as pediatrics or geriatrics. RNs might also have a greater range of responsibility when it comes to administering patient care. One big difference between the bachelor’s and associate’s degree is that RNs with bachelor’s degrees tend to have more career opportunities; which is why some RNs start out with associate’s degrees from one institution, and then go on to another school to complete their bachelor's. Or, they start their careers and then finish up their bachelor's through an accelerated online program, like the one offered at Gwynedd Mercy, a great nursing school in PA.
Nurses with advanced degree have completed a bachelor’s program, and then gone on to complete a master’s or PhD program in a specialty field. These types of nurses can include Nurse Practitioners (NP), Certified Nurse Midwives (CNMs), and Nurse Epidemiologists. • Nurse Practitioners perform many of the same functions as medical doctors including ordering screening tests, diagnosing patients, and prescribing medication for minor illnesses. You can often find nurse practitioners at urgent care centers, or those medical clinics you find in grocery stores and drug stores. They might also work in rural communities, and other areas where medical doctors are scarce – such as a public health clinic in a mountain town. 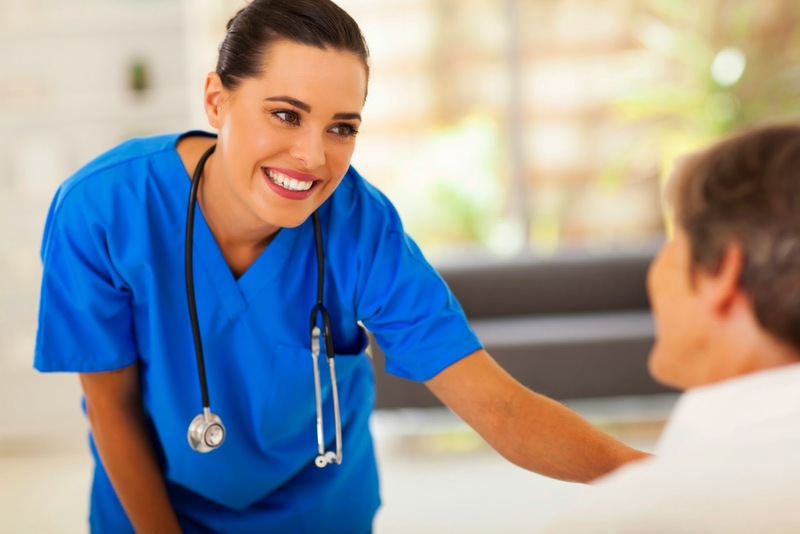 Nurse Practitioners usually work under the supervision of a medical doctor, although the doctor might not be on-site. • Certified Nurse Midwives perform many of the same functions as obstetricians and gynecologists in that they provide care throughout all stages of pregnancy, including routine gynecological care during the pre-pregnancy stage, prenatal care during pregnancy, performing the delivery, and caring for the mother and child during the postpartum period. Like Nurse Practitioners, they can often be found in areas where the services of a medical doctor might not be available. They are also an alternative for women who prefer the services of a midwife over a hospital birth. • Nurse Epidemiologists are a combination of nurses and research scientists. They perform regular nursing duties but they also conduct investigations, review patients for infection risks, and help develop protocols for preventing infection. Nurse epidemiologists can usually be found in hospitals and public health centers. They can also be found in the field, during disease outbreaks, providing care to the infected and working to prevent the spread of the disease. For example, Kaci Hickox, who was detained in New York in November 2014, was a Nurse Epidemiologist in Sierra Leone during the Ebola crisis. These are just a few of the jobs that nurses can do with advanced degrees. Nursing is so much more than just bedpans and thermometers. You can find nurses with advanced degrees in almost every aspect of the medical field, from the research and development in the private and academic sector, to community education. As physicians, you’re already equipped with the ability to communicate with your patients on a regular basis. Be that as it may, communications with doctors and patients today are not as they used to be in times past. Why? Because as the need for medical attention increases around the country, the amount of patients you see in a given day can become overwhelming. As a result, the first things to suffer are communication and quality customer service. As we know, communication and involvement with patients is what makes them comfortable – it’s what keeps them coming back. Statistics reported by Solution Reach suggest that doctors lose about 50% of their patients in a five year period. So how do you lower those percentages in your practice? There are ways in which you can see all of your patients while still being an effective communicator and providing the best customer service. The key is to learn smarter ways to make use of your time. It requires the need to refine basic communication skills and make necessary adjustments that will work for you and your patient. The average patient’s expectations have certainly changed. Therefore, having basic communication skills may not be enough to ensure patient retention. You see, the average patient wants to be a part of the health care process. They no longer want to be instructed on what to do. Patients are now more informed than ever and will want logic, reasoning, and proof as it pertains to their health and the decisions you make as a medical professional. 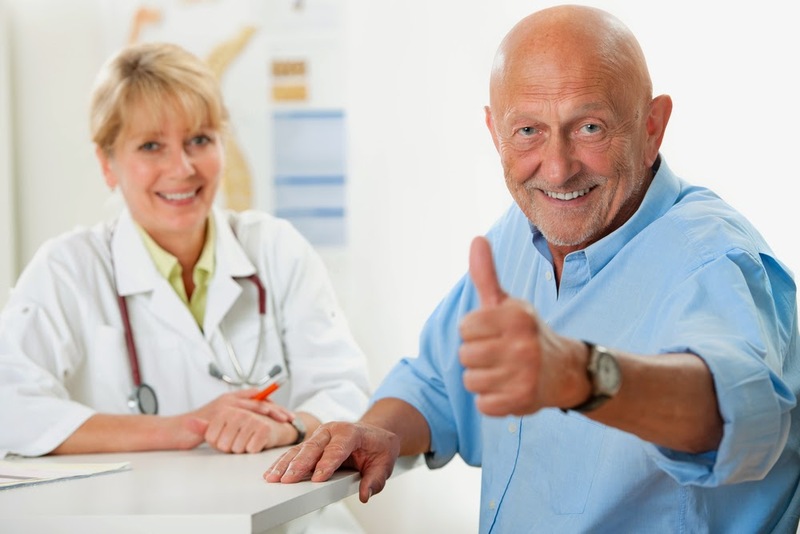 So how do you make adjustments based on the various changes in patient expectation? Be Reliable – Reliability is a major component of trust. An unreliable doctor essentially leads to a dissatisfied patient. So if you’ve told a patient that you will call them within a few days to brief them on their lab results, it is necessary that you carry that out. This lets patients know they can rely on you. Be Available – Patients want to know that whenever they’re in need they can count on their doctor to be there. Being available is not always easy, but finding alternative methods for displaying your presence or concern for their needs is a must. Quick Tip: Sometimes being physically there for your patients whenever they call is impossible. However, by utilizing technology to your advantage, you can show your patients you care whether they’re in your office or at home. Using platforms such as social media or patient portals can be a great way to do this. It allows patients to communicate with you 24/7 and view pertinent information about their health. Provide Quality Visits – When a patient comes in to see you, they want the ultimate experience. A customer should be greeted with comfort every time they come to see you. Family Management Practice suggests that you don’t skip the pleasantries. Greet your patients with a smile, show concern, be an involved listener, and most importantly don’t rush them. The key to keeping patients satisfied is making them feel as if their needs were met and that they’re not just another dollar sign. Quick Tip: A survey or evaluation provided to patients is a great way to measure their experience. Having new patients complete these surveys can keep you and your staff aware of all the areas in which you can improve your customer service and patient experience. Follow-up/Stay Involved – Even after your patients have left the office staying involved as their doctor is imperative to opening up the lines of communication, building trust, and enhancing their experience as your patient. Find ways to follow up and stay involved with your patients. Whether you send out appointment reminders, send out notices of concern when you haven’t seen them in a while, and even sending out birthday emails or cards can show that you care about them as individuals. Yes, it can be challenging at times to stay involved with each and every one of your patients, but it is absolutely necessary to ensure they prioritize their health and keep coming to you for treatment. To prevent losing your patients it is important to communicate often and provide them with the best experience possible both in and out of the doctor’s office. We're in an age ruled by science and technology, and your pregnancy is definitely going to be affected at some point in the near future - or currently - by the breakthroughs in modern medicine. One of the most popular trends in pregnancy-related science has been that of the noninvasive genetic testing. These prenatal DNA tests are able to test for multiple chromosomal abnormalities such as trisomy 21 (Down Syndrome) or trisomy 18 (Edward Syndrome). These types of tests are most commonly performed on expectant mothers that are deemed as increased risk pregnancies, such as a mother that is over 35, or has had a previous family history of genetic birth defects. In this case, it wasn't at all uncommon for a physician to recommend an amniocentesis in order to test the baby for common genetic abnormalities. 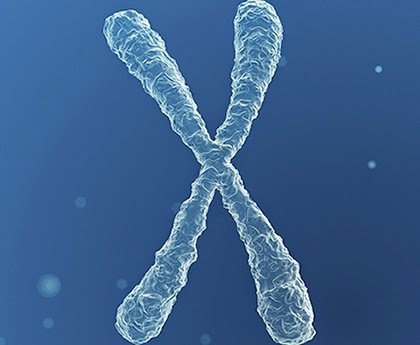 Amniocentesis is still used, but now it is just one of multiple options that your healthcare provider has in order to test for chromosomal abnormalities. Amniocentesis is an invasive procedure, but until recently it was the only way to test for certain chromosome abnormalities, genetic disorders, or neural tube defects. Trisomy 21 (Down Syndrome) is the most common of these abnormalities but the test can also uncover additional chromosomal abnormalities such as those found in trisomy 18 (Edward Syndrome) or trisomy 13 (Patau Syndrome). Besides the uncomfortable nature of the procedure, another drawback with amniocentesis is that the family would typically have to wait until the fifteenth week of the pregnancy, and it isn’t unheard of to wait until twenty weeks to be able to do a safe amniocentesis. The obvious benefit to the prenatal DNA testing is both in speed (from lab to your healthcare provider's office in 5 days) and the fact that the tests are simple and more accessible than ever. With an obvious need for noninvasive prenatal tests, doctors have begun using cell free DNA tests that can detect the some of the same sort of genetic issues as a traditional amniocentesis. Bioscience companies like Sequenom are making this sort of testing easily accessible by medical professionals who prefer a test without the risk of prenatal invasive procedures. It seems the problem in past years wasn't the procedural awareness - DNA sequencing and genetic testing has been around for more than a decade - but dealing with off-site laboratories that made this sort of testing accessible. A simple prick from a needle and a small amount of blood now give lab technicians all they need in order to test for genetic mutation and deformities such as trisomy 21 (Down Syndrome), trisomy 18 (Edward syndrome) and trisomy 13 (Pateau Syndrome). In fact, the testing has success rates of 99-percent at detecting trisomy 21 pregnancies, 98-percent with trisomy 18, and about 65-percent with trisomy 13. With trisomy 13 tests, there is often a need for an amniocentesis or chronic villus sampling (CVS) with positive test results. The test itself often relies on a simple blood test taken from the mother. A small amount of blood is drawn and sent to a laboratory and your healthcare provider will receive the results within 5 days from the date the laboratory received the initial sample. The future is bright for early detection of all types of birth defects. These simple noninvasive procedures are set to revolutionize the way doctors test for complication in high risk pregnancies. In many cases, knowing about defects before the birth of the child helps the parents to prepare for the specific set of challenges they'll face after the baby is born. 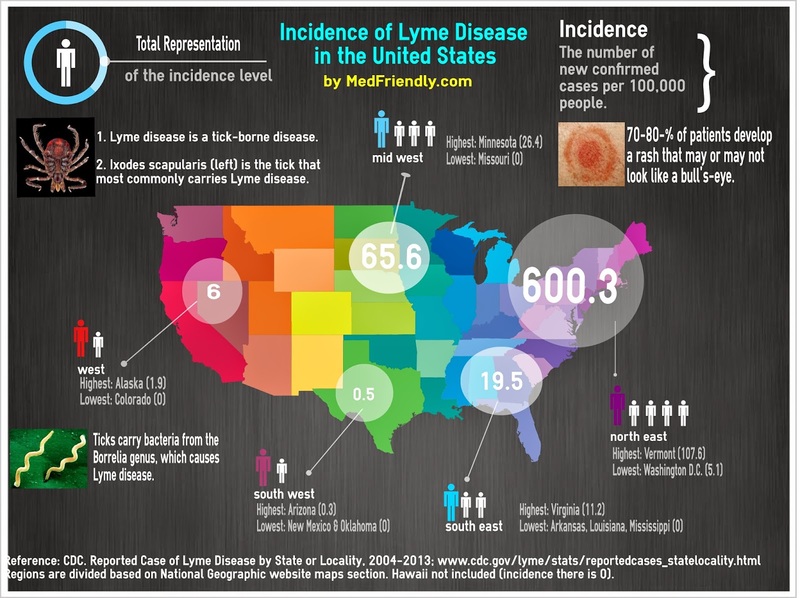 • Acts as the first line of defense against diseases and infections. Because it performs so many functions, and is so exposed, your skin is often the first to show early signs of aging. Your skin is made up of three distinct layers, all of which help it perform its many functions. • The epidermis is the outer layer. It is made up of cells that overlap and stack on top of each other like tiny plates of water. When the epidermis is healthy and intact, it is water-tight and also prevents bacteria, viruses and other foreign substances from getting inside your body. The epidermis also contains melanin which contributes to your skin color and filters out UV radiation. • The dermis is the middle layer. It is the thickest layer and is made up of collagen, elastin, and fibrillin, which give the skin its strength and shape. It contains several structures like nerve endings for sensation, sweat to help regulate body temperature, blood vessels to feed the skin nutrients and regulate body temperature, and hair follicles. The dermis also contains glands that release an oily substance called ceramides, which moisturize the epidermis, and help form the barrier against water and foreign substances. • The hypodermis is the bottommost layer. It contains blood vessels to feed the skin and regulate temperature, fat cells for insulation, and connective tissue to anchor the skin to your body. As you age, the layers of your skin stop functioning as well as they should. 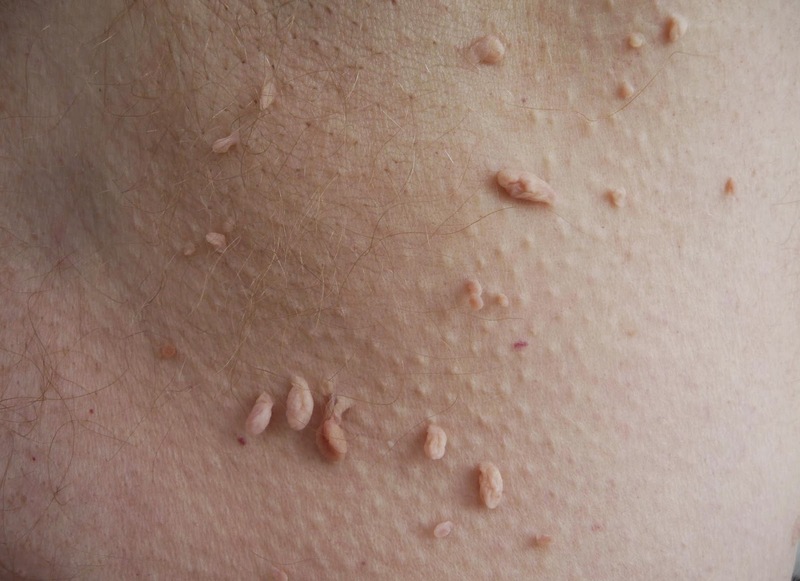 For example, the glands in the dermis could stop making enough ceramides, causing the epidermis to dry and crack. Several factors can determine how quickly your skin ages, including as lifestyle, skin tone, ethnicity, and heredity. However, one major factor is UV radiation. Although the skin is designed to be a UV filter, it is not immune to the effects UV radiation. Long-term exposure to UV radiation can damage all of the cells and structures in the skin, such as melanin cells, collagen cells, and even the glands that make ceramides. In the best case scenario, the damage prevents the cells and structures from functioning properly, leading to wrinkles, cracks, dark spots, and other signs of aging. In the worst case scenario, it can lead to cancer. The best way to protect your skin is to avoid direct sunlight as much as possible, and wear sunscreen whenever you do go out into the sun. Stay hydrated, so that your sweat and oil glands have enough water to do their jobs, and moisturize your skin often. • Phytoceramides. Phytoceramides are plant-based versions of the ceramides your skin naturally produces. Used topically, phytoceramides are supposed to hydrate the skin, and repair wrinkles and other signs of aging. Phytoceramides are available in the US as a dietary supplement, but they might not be available in all areas. You might have to talk to a dermatologist or skin specialist about where to buy phytoceramides. • Skin fillers, such as natural collagen. Skin fillers help fill in the creases and lines caused by collagen loss in the skin, and some of them also help stimulate your natural collagen production. • Microdermabrasion or skin peels. Both skin peels and microdermabrasion both remove some of the cells in the epidermis which immediately reduces the appearance of fine lines and wrinkles, and stimulates collagen production to help keep wrinkles at bay. • Laser skin resurfacing. Laser skin resurfacing uses pulses of light to plump up the skin and fill in wrinkles, lines, and ridges, and stimulate collagen production. • Your doctor or dermatologist. You should always consult your physician if you feel that your skin is aging too quickly, of if you are concerned that some dark spots and age marks are the sign of a more serious issue – especially if you have a family history of skin cancer.